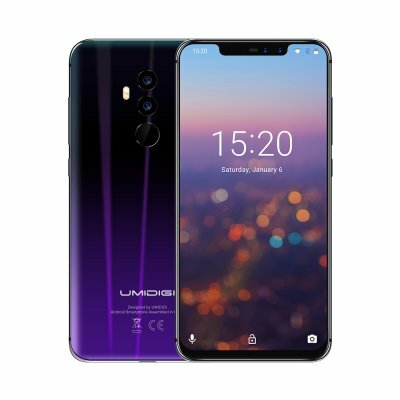 Successfully Added UMIDIGI Z2 Smartphone-Android 8.1, 5.5 Inch, Face Unlock, 3550mAh,6GB RAM, MTK Helio P23 (Twilight-Black) to your Shopping Cart. UMIDigi Z2 has a 5.5 inch display. Four camera, rear camera 16M+800 M, main camera: 16M, 5 P lens, Samsung sensor front camera 16M+800 M, F2. 0 support surface ID, SONY sensor, you can enjoy high resolution images. With 4G and supporting a wide spectrum, you can enjoy amazing mobile data, allowing you to stream HD movies on the road. Z2 also has 64GB's internal storage and chooses to expand to a micro SD card to increase the 256GB's add space. So if you have an entertainment library, you will find that Z2 has enough space for all your media and storage needs..